Thirteen deaths have been linked to the consumption of Focus 5-Hour energy drinks according to a report by the Food and Drug Administration (FDA) just weeks after an eerily similar report involving caffeinated drinks and death. With the fatalities the energy “shot” has been additionally linked to heart attacks, convulsions and in one case a spontaneous abortion according to 90 filings with the FDA released to the New York Times this week. The reports covering the last three years come just weeks after popular brand Monster Energy was similarly linked by the FDA to five deaths including of a 14-year-old Maryland girl. 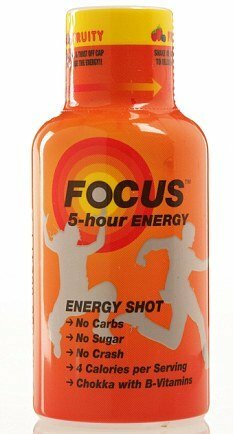 Focus 5-hour energy, who voluntarily submitted their incident reports to the FDA complying with a 2008 regulation, has noted no deaths proven to be caused by the two-ounce “shot”. The FDA’s director of dietary supplement programs said on Wednesday that the agency is looking into the death reports, including the direct link to each possible victim. Describing its product as a “compact-sized energy shot intended for busy adults” and “not an energy drink, nor marketed as a beverage”, according to a company statement objected by the Times, they estimate the “shot” to contain “about as much caffeine as a cup of the leading premium coffee”. The product does not list its exact caffeine content though Consumer Reports has figured it being around 215 milligrams – twice as much as an average cup of coffee. Monster Energy, which sells its product in 24-ounce cans, in comparison contains 240 milligrams of caffeine. When 14-year-old Anais Fournier from Hagerstown, Maryland consumed two cans of the energy drink, back-to-back, an autopsy found the teen died of cardiac arrhythmia due to caffeine toxicity, impeding her heart’s ability to pump blood. Worries have arisen on the quick swallow of two or more 5-hour Energy shots with each being merely two-ounces. “We recommend on product labels and the 5-hour ENERGY website that individuals consume no more than two bottles of 5-hour ENERGY shots per day, spaced several hours apart,” Living Essentials spokeswoman Elaine Lutz, the products’ distributor, said in the release to the Times.